Get Rs. 500 worth of Coupons by Registering yourself on www.FavolaShop.com and many prizes everyday . 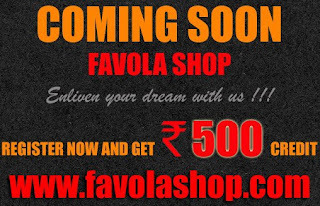 Great E-Commerce concept ... Good going! Wish you all the best!